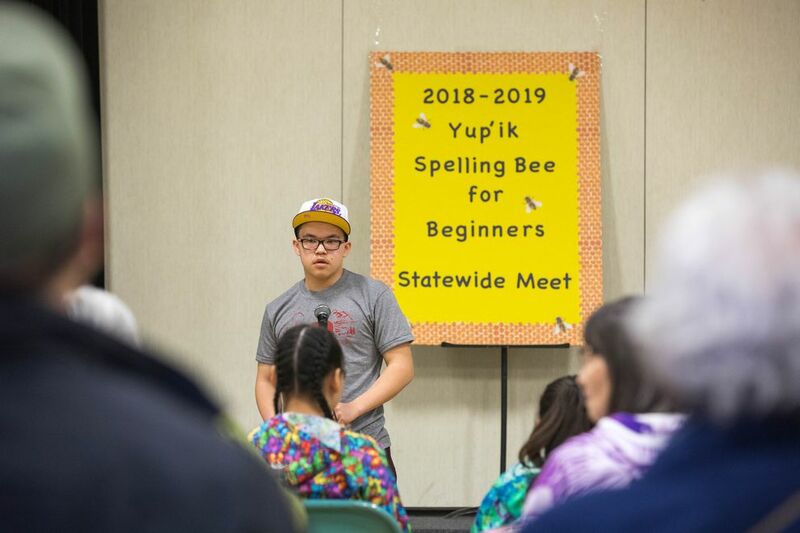 The word had stumped six other spellers at Saturday’s Yup’ik Spelling Bee for Beginners at College Gate Elementary School in Anchorage. Each had gotten a curt “quyana” from the judges — a word that means “thank you,” but also signals to the speller they’ve misspelled the word. What Auna wanted to hear was “assirtuq," which means “It is good." 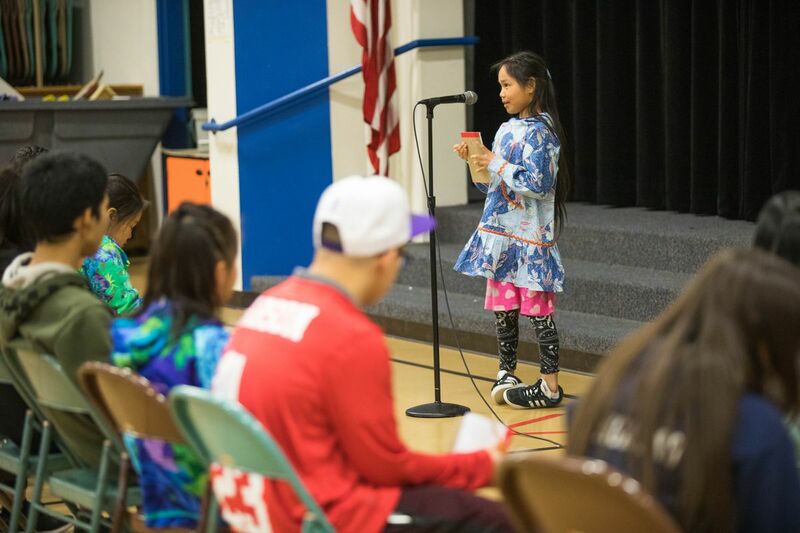 Auna placed second on Saturday in the spelling competition, which brought together 18 students from seven schools and six school districts in Southwest Alaska. It’s the most competitors the bee has seen in its eight-year history, organizer Freda Dan said. 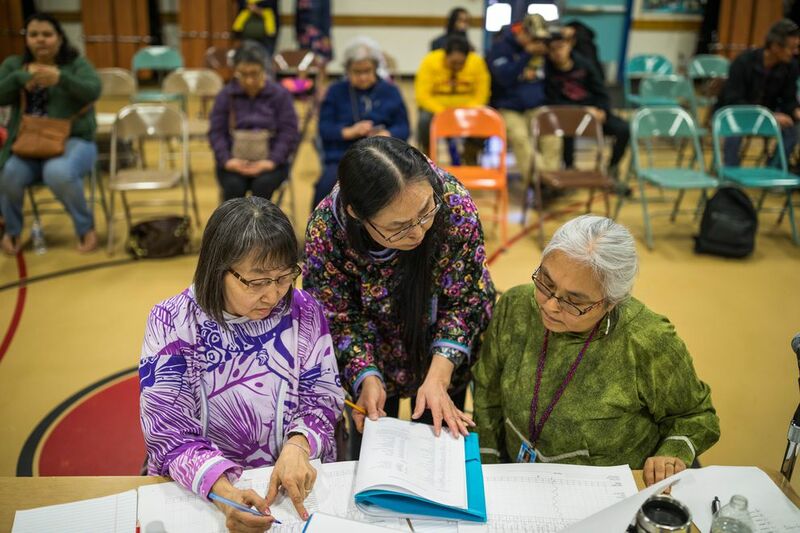 Dan, who is Yupik herself, devised the competition as a way to introduce students to written Yup’ik, a language in which many fewer people are literate than can speak it. Her son was the one who inspired the idea, she said. When he was in the third grade, she picked him up from school one day to find that he was holding something behind his back. 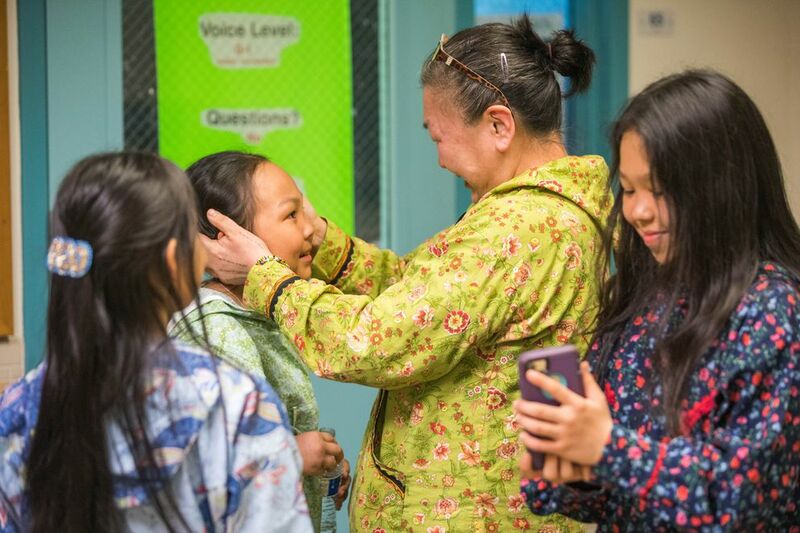 When she asked him to let her see what he was hiding, he whipped out an English spelling bee trophy, and she began thinking about how she could use a spelling bee as a tool for teaching Yup’ik. 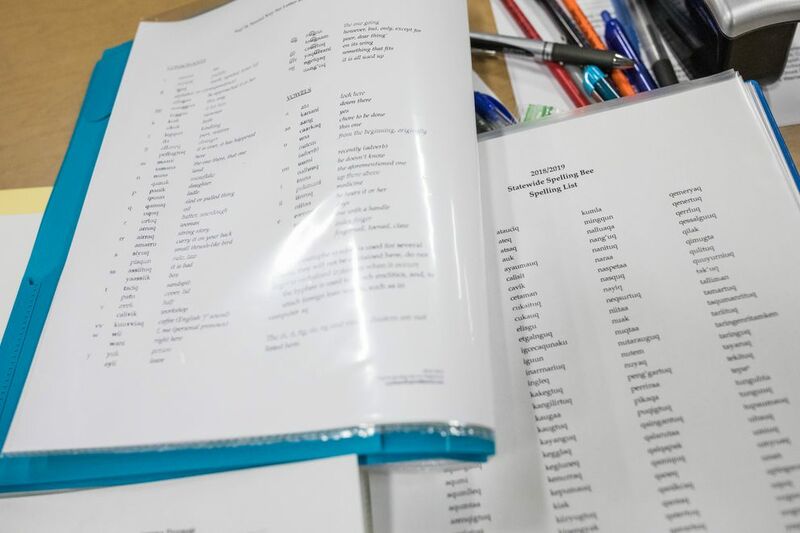 Each of the participating districts has spelling coaches who work with the students throughout the year to help them learn the language, and the lesson plans Dan sends the coaches are often the first exposure students have to the written language. “We live and breathe our language from whenever we came here, and to lose it is to lose something that’s part of our being," Dan said. Because of Yup’ik literacy’s long absence from school curriculums, even some of the coaches aren’t very confident about their own spelling abilities, Dan said. One coach, Ickeley Charles from the Yupiit School District near Bethel, said he used to be the only bilingual student in his school. “I knew that I had to keep my language going,” Charles said. Teaching students to spell in Yup’ik is different from teaching them to spell in English, though. 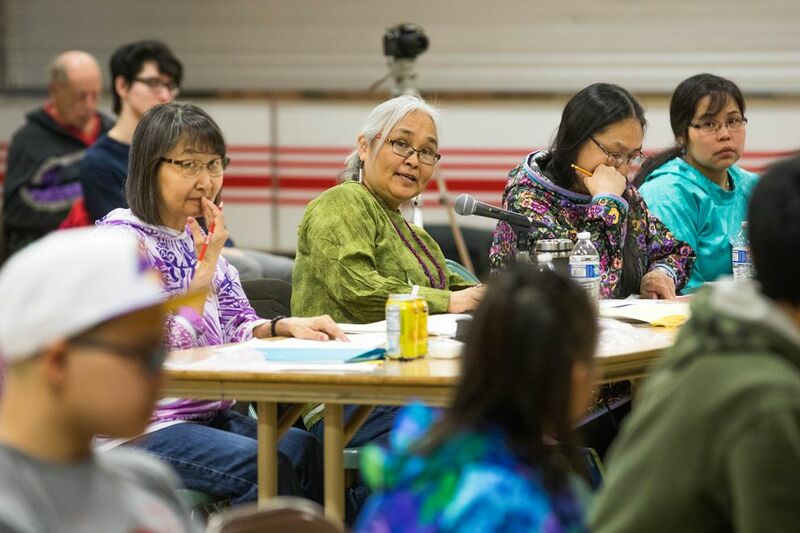 The Yup’ik language has only 18 letters, but many of the words are difficult to pronounce and some of the letters sound the same, organizers and spelling coaches said. And what’s more: Central Yup’ik has several dialects, and all of them were in this year’s word list. That meant the coaches sometimes had to teach students words they themselves didn’t know. This year’s first-place winner, 12-year-old Angniun Opriann Lomack from the Akiachak School, racked up the most points of any speller in just the first round. This was the sixth grader’s first time competing, though her win was the second time the Yupiit School District has placed in the competition. She said there weren’t any words that tripped her up — she knew them all. Narrowing down the runners-up was trickier. 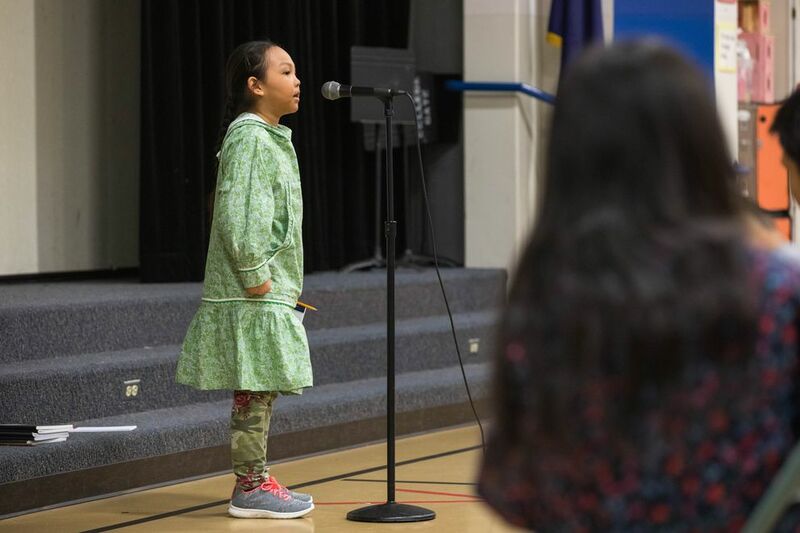 The judges had to cycle through multiple word lists in several tiebreaker rounds to close in on Auna Friday of Chevak and sixth grader Allikaar Richelle Phillip, also from the Akiachak School, as the second- and third-place winners respectively. The word that broke their tie? “Epulek,” meaning “one with a handle." That’s a far cry from the early days of the competition, Dan said, when none of the students were proficient enough for it to even be much of a competition.